Carrozzeria Greppi, founded by the Greppi brothers in Colico (CO) in the early 70s, had three different fiberglass models biased on VW mechanics. The Smach Spider, the Drag Buggy II Torpedo and Safari. 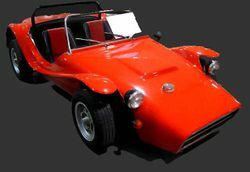 The Smach spider was inspired by a Formula 3, and the classic Buggy Drag II. They then present the "Safari", a buggy similar to a Jeep, step shortened to 30 cm, steel and fiberglass body with folding windshield and removable doors, used two hand brakes and the differential unit and gearbox from a VW van allowed it to be good for mountain trails and light off-road. The cost was 2,100,000 lire and was built in dozens of specimens. 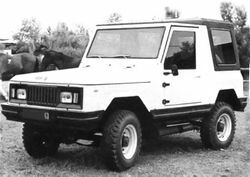 In the '80s, Greppi produced with some off-road mechanics from the Ford Taunus, another buggy.